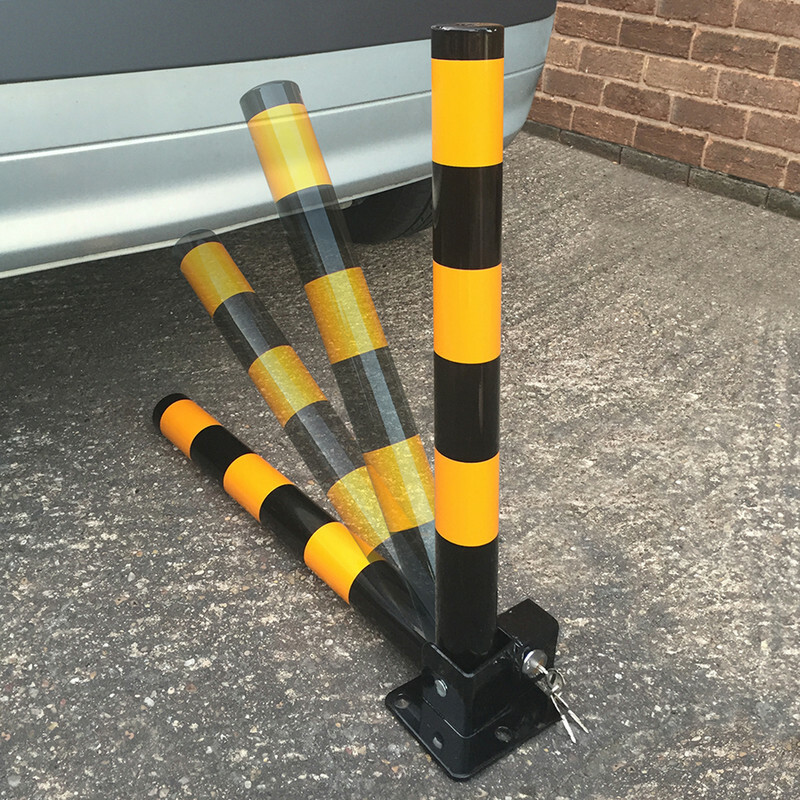 Strong metal construction with durable locking base secured with 3 bolts (not supplied). 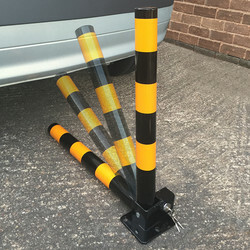 Ideal for parking spaces and driveways. 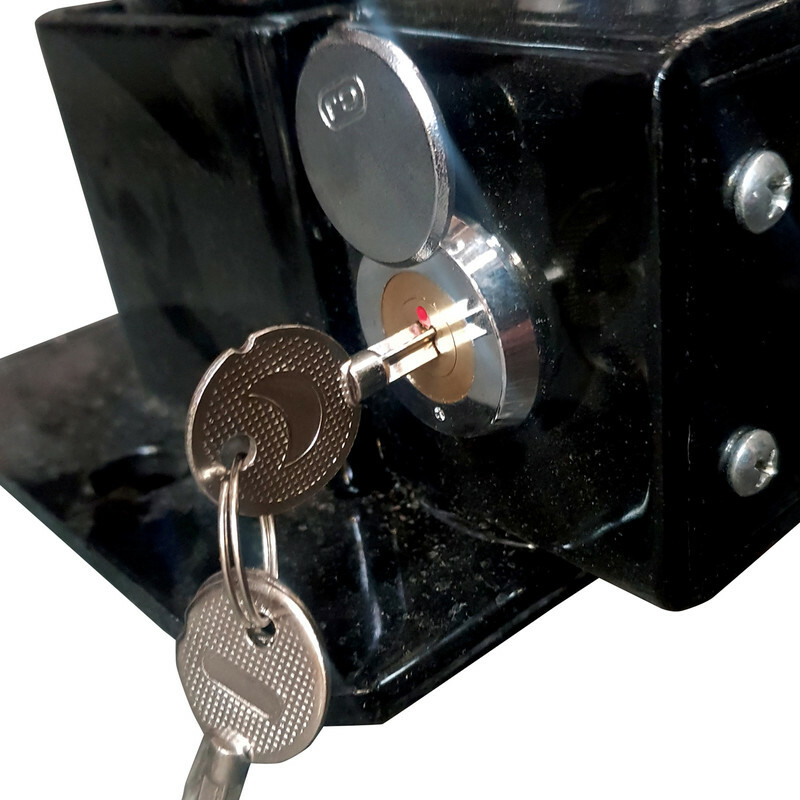 Lock supplied with 2 keys. 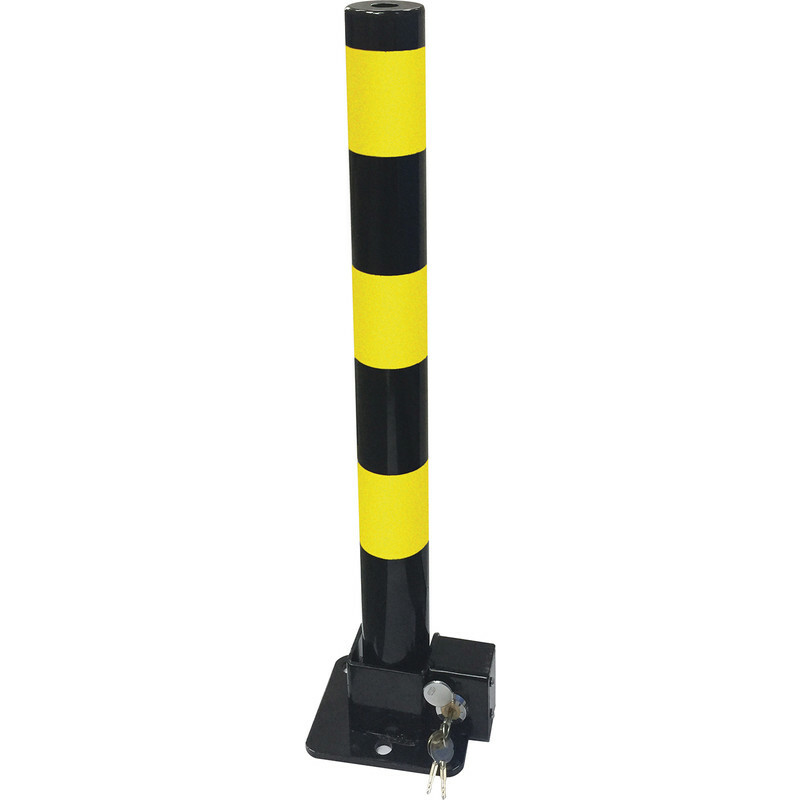 Folding Parking Post 600(H) x 57mm(D) is rated 4.8 out of 5 by 4. 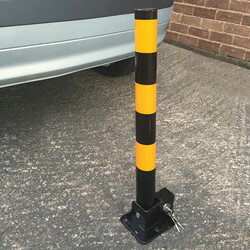 Rated 5 out of 5 by Leebkr6 from Sturdy easy to fit post I bought this and had it delivered to the house on Monday 21st January 2018, the post was very sturdy and very easy to fit, it came with 3 keys and the post but you do not get the bolts to fix it to the ground included, which I did know when I ordered, just had to use 3 x 14mm bolts to secure. Great post and use it every day. 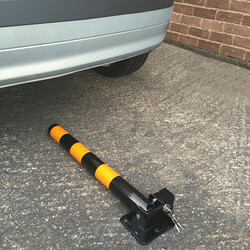 Rated 5 out of 5 by Mr Tickle from Competitive prices and does the job. Parking posts were lower priced than many others but when installed have stop the test. Rated 4 out of 5 by Motorman from "Does what it says on the tin" Your guidelines negate my intended comments! However:- product looked fine & appears satisfactory. Durability may be an issue! Especially the key/lock. 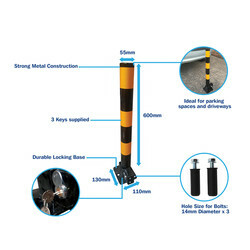 Would have expected securing bolts to be included. Price/quality ratio reasonable,overall a good buy, only time will tell!